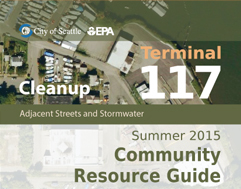 Excavation is complete and a total of 27,800 tons of PCB-contaminated soil has been removed from the streets in the South Park neighborhood adjacent to Terminal 117. Click here to view archived construction photos. New educational signs were installed along the non-motorized pathway and on 17th Ave. 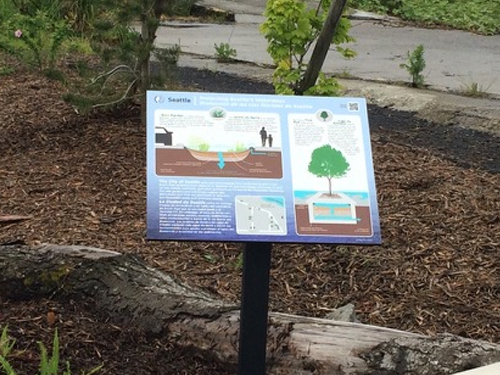 The signs explain how the rain gardens and Filterra tree boxes function, and how they improve water quality in the South Park neighborhood. Tree and Landscaping Maintenance Guide, September 2016 (click below). 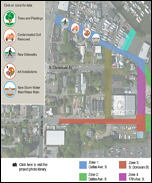 Community Resource Guide now Available (click below).